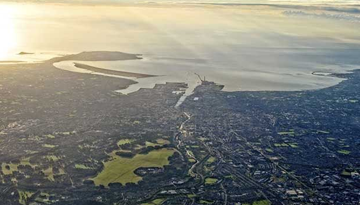 Dublin is the capital of Ireland and home to more than 30% of the country's population. Despite the island's distinctly Celtic heritage, this city was actually founded by Vikings. Its name in Irish Gaelic is Baile Átha Cliath, which means "Town of the Hurdled Ford". Dublin has some very fine Georgian architecture and houses Ireland's finest national treasure – the Book of Kells. When searching for a cheap flight to Dublin, you are spoilt for choice, with flights to Dublin from almost every regional UK airport on scheduled and low-cost carriers, the competition is high so, therefore, the fares are low. Founded in 841, the island city has an eventful past. Dublin was first conquered by the Danes in the 9th century and then, 1171, by King Henry II from England. This king was the start of what many Irish people call "The 800-year English yoke". In the Easter rising of 1916, the Irish finally freed themselves from the English rule and became an independent nation. Besides the Book of Kells, which is on display in the Trinity College, a typical visit to Dublin should encompass a visit to the oldest building, Christ Church Cathedral, as well as to the St. Patrick's Cathedral and Dublin Castle. Dublinia & the Viking World lets you explore the medieval city and world of the Vikings, and the General Post Office is one of Ireland's most iconic buildings. In the National Museum of Ireland, you can see all of the archeological finds of the Island – including Prehistoric and Celtic pieces! However, a trip to Dublin without at least one visit to a typical Irish pub doesn't give you the full Irish experience. Many of these pubs can be found in the "Temple Bar" area. Do sip a Guinness to taste the typical Irish drink while enjoying the magnificent scenery! In case you want to learn more about the brewing process, the Guinness Storehouse retells the story of Dublin's most famous beer. The tour ends on the 7th floor, with a great view over Dublin and a pint. Other things that should be on your bucket list are a guided walking tour through the city center and Grafton Street, the famous shopping street with nice architecture. If you need transport, you can get around the city with the Luas tram, the DART suburban rail service or by bus. Take a map with you, as the stations generally aren't announced. Also, there's the possibility to rent a bicycle while in town or to take a taxi. The weather in Dublin is mild all year round. Temperatures generally won't go above 20°C, and you should be equipped for light rainfall! Ebookers offers cheap flight tickets to Dublin from London - Prices from £18.89. Limited Period. 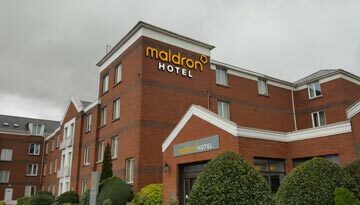 Maldron Hotel Newlands Cross offers 3 star 1 night room stay at £56 & save up to 20%. 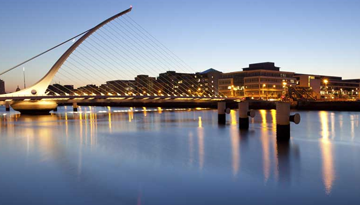 Fly from London Gatwick - Dublin & Stay for 7 nights with 4 star accommodation. Include Bed & Breakfast.